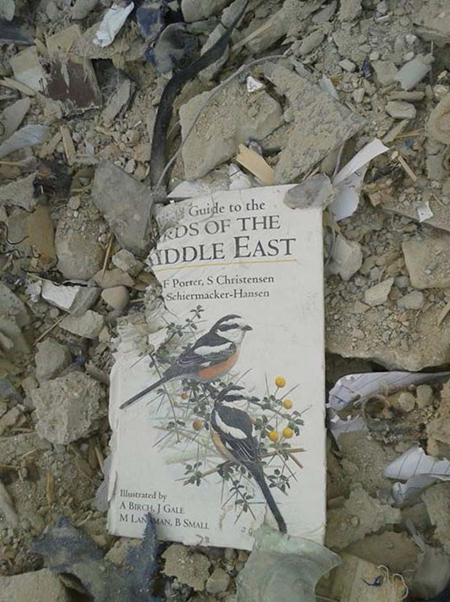 Taken in the rubble of a bombed house in the ancient Syrian city of Palmyra this photo, which appeared on Facebook, was immediately tweeted throughout the world, including by Frank Gardner, a keen birdwatcher. Plans are now well underway for an Arabic version of the second edition of Birds of the Middle East and the exciting cover has just been unveiled. 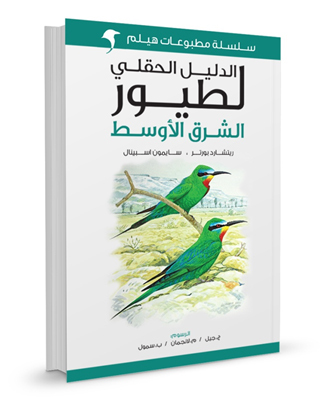 This book is a joint venture between Bloomsbury, BirdLife International and the Ornithological Society of the Middle East. I hope the Bloomsbury’s ‘Helm Imprint’ Arabic logo catches on. I love it, especially as it translates into ‘Dream Field Guides!’ The plans are for a launch in Arabia next year. Apps are now the new book and rapidly becoming the way of the world. Books, of course, will always be important and have their place, but sending them to remote places or where mail is not reliable can be a problem. With this in mind a new App has been developed for the remote mountain range of Peremagroon in Iraqi Kurdistan – internationally important for its fantastic wildlife. It has been great to have Bloomsbury’s support for this.